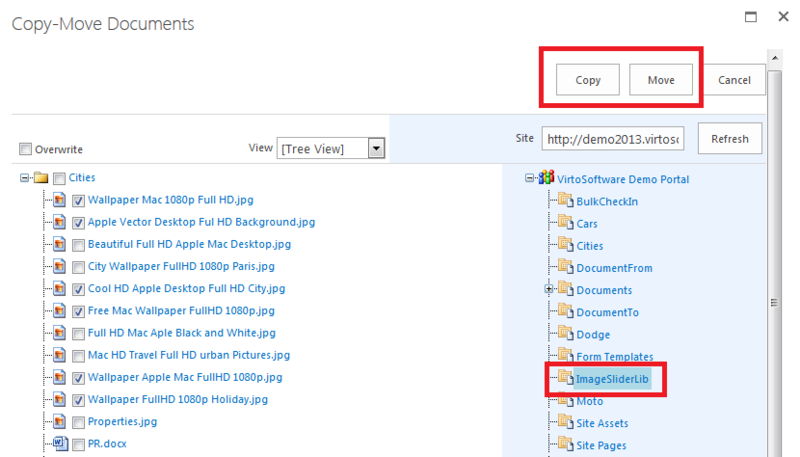 When you have installed Virto Bulk File Copy & Move and activated it, you can use either web part placed on a SharePoint site page or as an additional feature in “Action” menu. Go to “Edit page”, then choose “Insert” on the ribbon and click “Add web part”. Then select Virto Bulk File Copy & Move in the list of components. Click “Add”. When you choose Bulk Copy Move option, you will be able to copy or move all necessary files from the document library or list to a certain place. 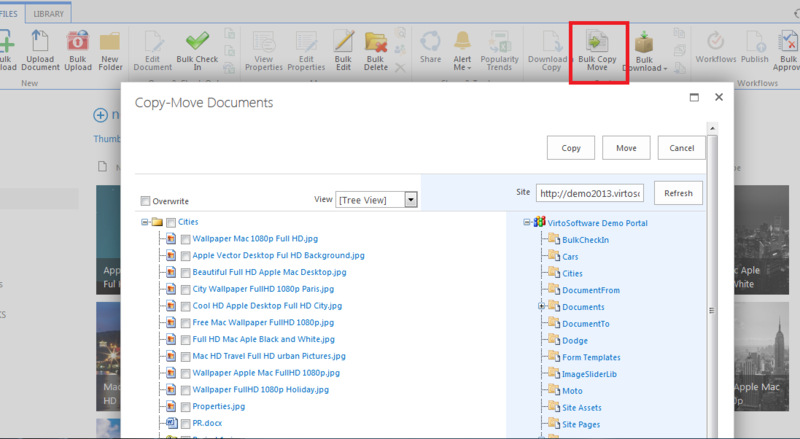 Click “Bulk Copy Move” to show all files of the chosen Document Library as a tree. Select files that have to be copied or moved in the left side and select destination folder on the right side. Then click “Copy” or ”Move”). You can check the “Overwrite” box if you do not need to keep the double files in the destination folder. The window will be closed, you return to document library when copying (moving) is done.